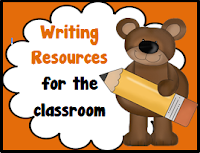 Scroll down to find Writing Resources for the K-5th Grade Classrooms from Teacher's Take-Out. 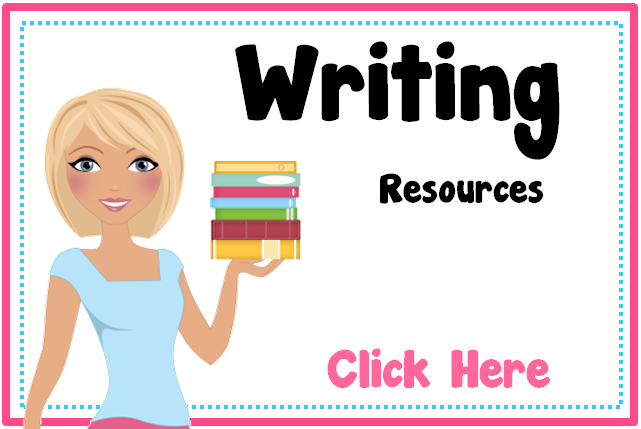 Below you'll find all my writing resources. This is my best seller of all time! 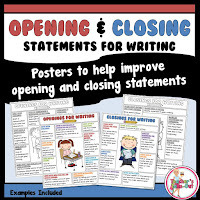 This pack is filled with a few ideas for opening or closing statements for students' writing. You'll be amazed how your students' opening and closing statements improve! 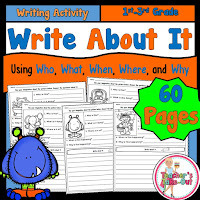 Write About It has 60 pages of pictures to spark some interest in writing for your students. This pack comes with a Freebie! 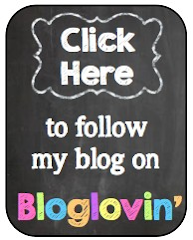 Click the picture below to check out the freebie and try a Write About It today! These Personal Narrative Worksheets are a great way to practice writing a short paragraph or narrative. 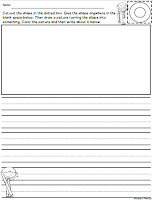 These worksheets include a graphic organizer to help students organize their personal narrative into a quick paragraph. Students respond to the prompt on each page. They write a topic about their paragraph along with a topic sentence. They write 3 supporting details about the topic and close it with an end statement. Students can edit themselves or have someone edit them. Students can rewrite their rough draft in their writing journal or on another writing sheet. 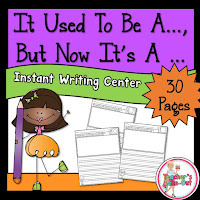 This pack includes 30 writing prompts for personal narratives. It Used to Be a... But Now It's a.... 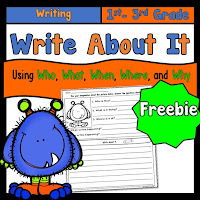 Writing prompts are perfect for writing centers or busy work. 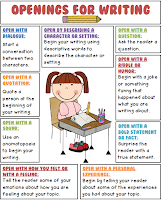 These writing prompts are used for creative writing. Student's cut-out the shape on the top right corner and place it in the blank space. They turn the shape into something. For example if I was using the circle shape, I might turn the circle into a wheel for a car or use the circle as an eye for a dog. Once student's draw their picture they write about it on the lines below the picture. This pack includes 3 centers. A picture from each center is shown below. Center 1: List Writing- Use all the words on the notebook to write a story. There are 16 Lists included. 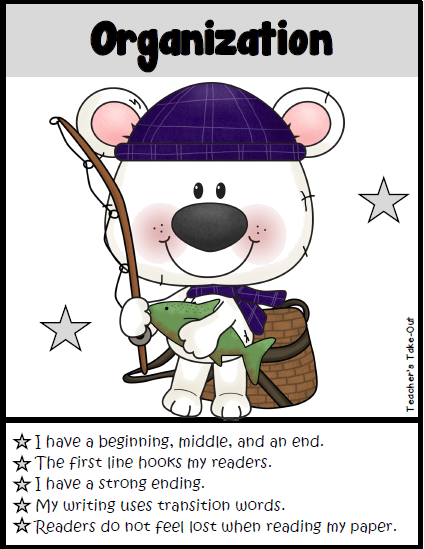 Center 2:Story Element Cards- Each card includes two characters, a setting, and the plot. There are 18 Lists included. Center 3: Mix and Match Stories- Pick 1 character, 1 setting, and 1 plot. 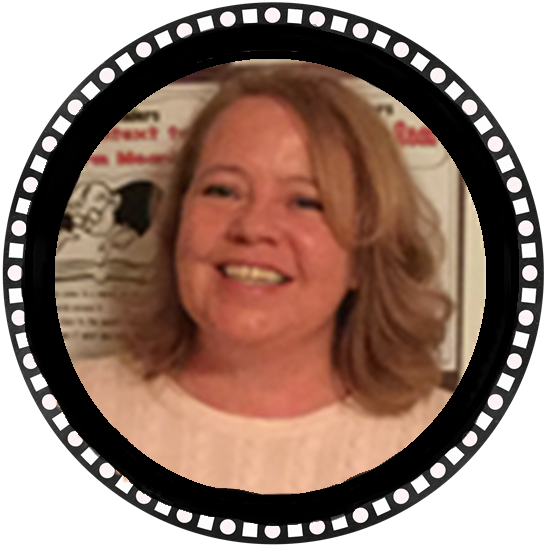 Use the three story elements to write a story. 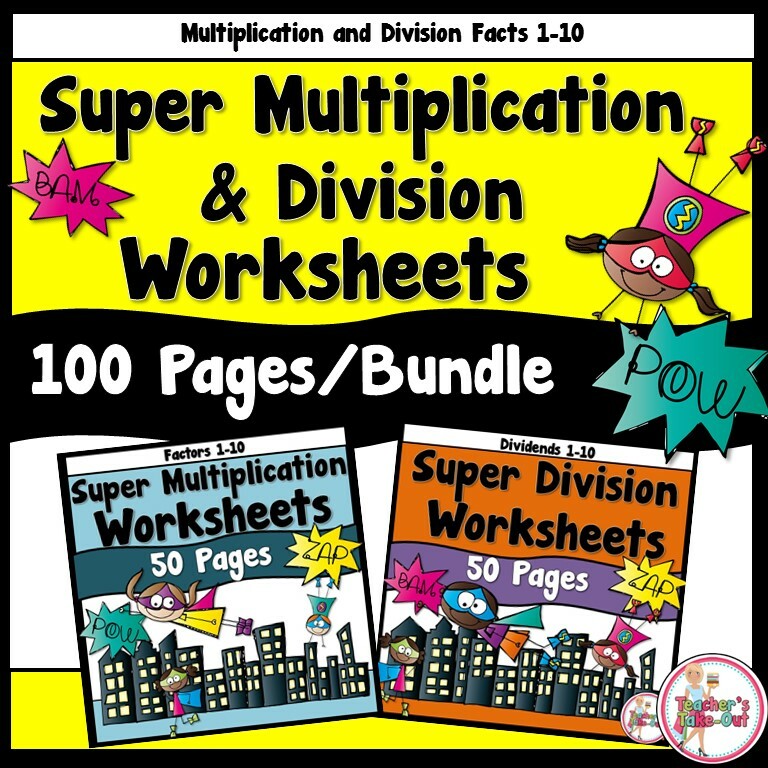 This pack also includes graphic organizers and writing paper to help students get started. 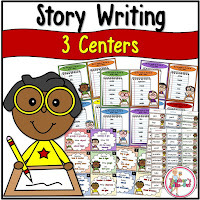 Use these Story Writing Centers for your writing centers, homework, or early finishers. Click on the graphic organizers below to read more about this Story Writing Centers. 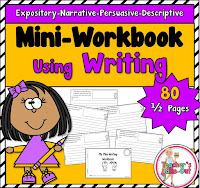 Mini-Workbook Using Writing has 80 writing prompts (half-sheets) all about different genres of writing. Each half worksheet includes a writing prompt. Students write a response to the prompt. The prompts include a wide variety of expository, persuasive, descriptive, and narrative writing. This is perfect to get students to write in different types of writing styles. Click the picture on the left to read more about it. Here are the posters and checklist that are included in this pack. Teacher's Take-Out for a discounted price. 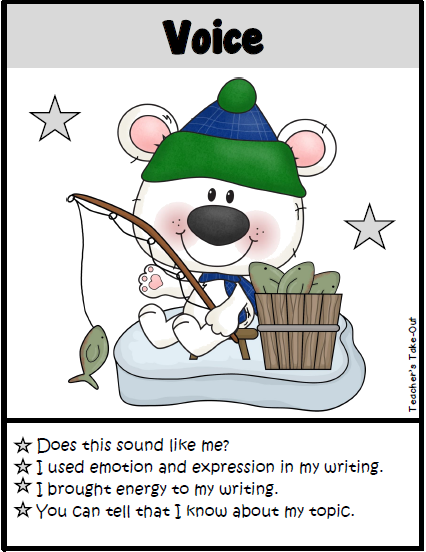 Here is a FREE Writing Process posters that go along with the 6-Trait posters. Click the picture on the left. Here are the same Writing Poster but in another theme of 6-Traits of Writing. These posters have a cute kid theme. Hang these on your writing wall or use when teaching a lesson. 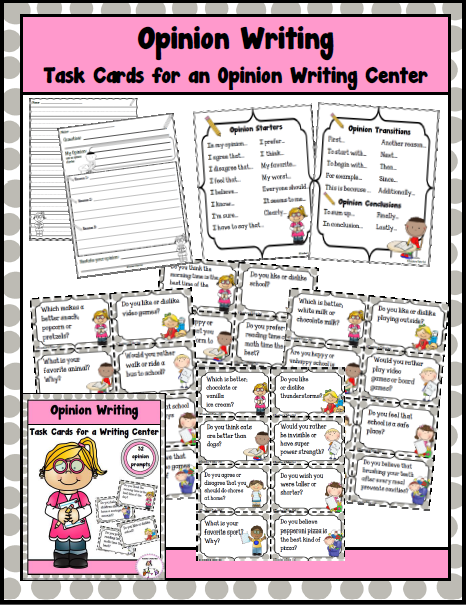 This Opinion Writing pack will have your students expressing their opinions all year long! 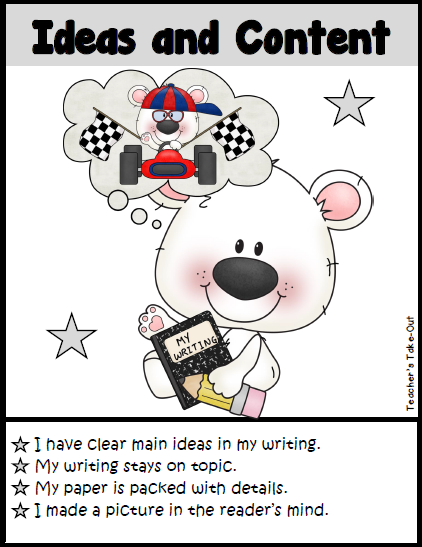 Opinion Writing includes 32 Task Cards to spark some interest in opinion writing. 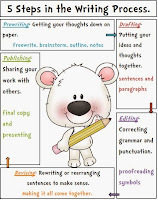 Also included are 2 anchor charts to help transition writing, and 2 writing papers to help organize thoughts. 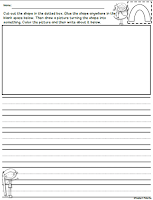 Opinion Writing Worksheets has 34 writing prompts to spark some opinion writing. Each worksheet displays a questions and has a graphic organizer for students to respond with their opinion, give 3 supporting details, and a conclusion sentence. The prompts are fun and kid friendly. These are perfect for 2nd-4th grade classrooms. Would You Rather...have the ability to fly or have super power strength? What is your opinion? This pack has 40 "Would You Rather..." questions that will get your students to want to express their opinion. The best thing, they will be writing! What I love about these worksheets is that they are ready to go. Just print and you're done with prep. These are great for assessments throughout the year too. 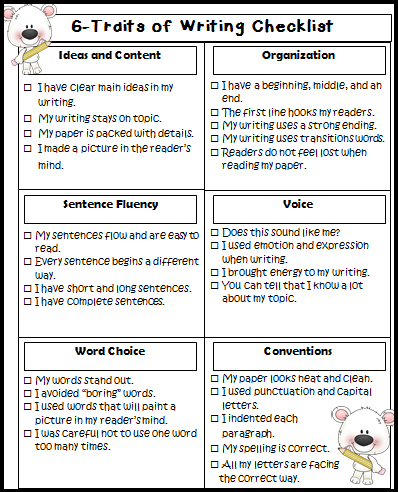 These worksheets will help you see who still needs work on writing opinion paragraphs. They also make great homework assignments. Print today and you have homework instantly. Click the picture on the left to read more about it. Inference Writing is intended to do two things; make an inference from a picture and write their inference in a complete sentence. 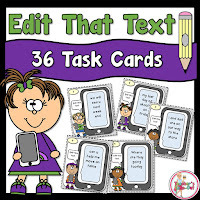 This pack includes 24 pictures in task card form or in a recording sheet that is cut into thirds. 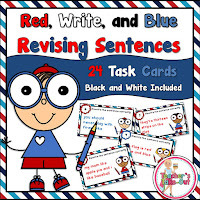 These are perfect for beginning writers in K-1st grade. 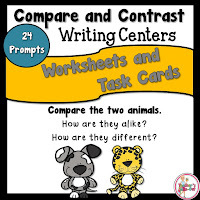 Compare and Contrast Writing Worksheets and Task Cards include 24 Picture Prompts. Use the picture prompts in a Venn Diagram, as a writing page, or as a task card. Use the Venn Diagram to write quick comparisons. 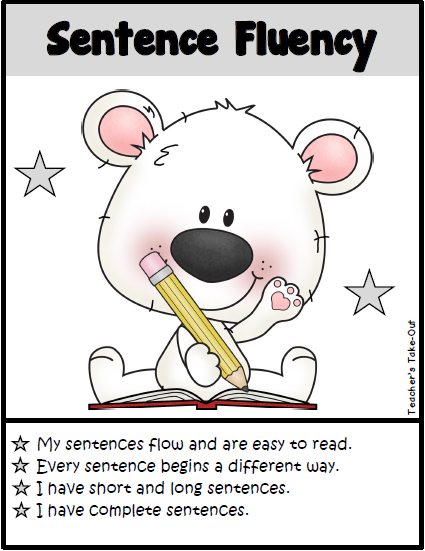 Use the writing pages to write complete sentences as students compare. Use the task cards for small group time or oral comparisons. Either way, this pack is ready to use in your classroom today. Just print and compare! R.I.P has students putting old and boring words to rest. Jazz up your students' writing with this fun and hilarious activity. Replace those over used words that make writing dull with new and energizing words that make writing come alive. This is a perfect lesson for 4th and 5th grade classrooms. 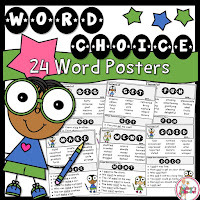 Word Choice Posters includes 24 posters that give 15 "better" or "juicier" words than the dull, overused words. 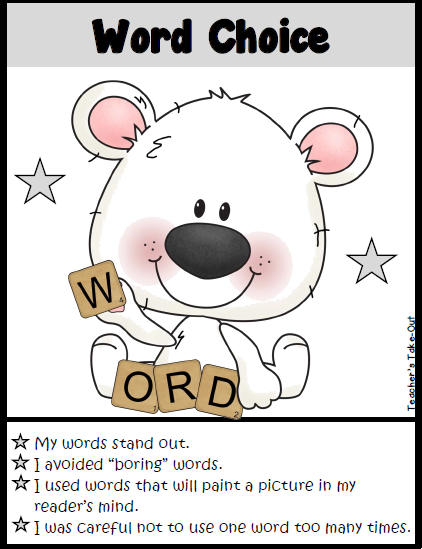 Posters also have 7 sentences to practice replacing the overused word. These posters look great on a word wall and will enhance your writing unit. Click the picture on the left to learn more about it. 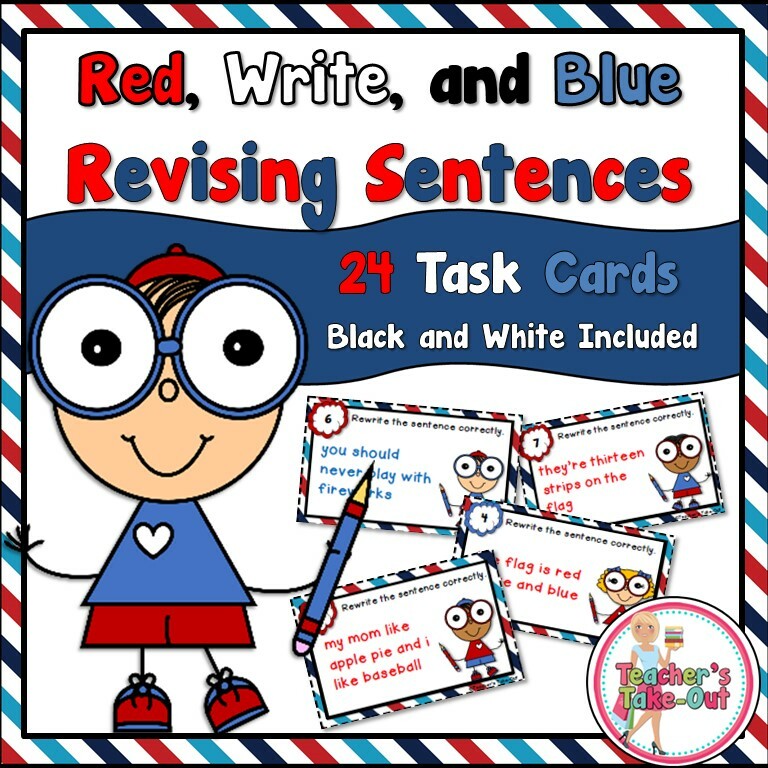 Red, Write, and Blue has students revising and rewriting sentences. All sentences are about America and around the 4th of July! 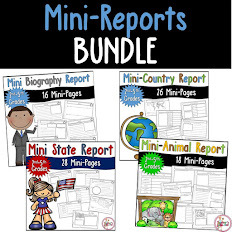 This pack is perfect for 1st-3rd grade readers and writers. Students should be able to find errors in the sentence and know how to fix it. Then, students rewrite the sentences making all the corrections. I also made the clip art in this pack too! 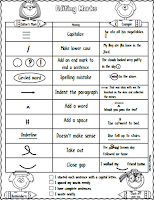 Here is a FREE Editing Marks sheet for 2nd-4th graders. This only has 10 of the most used marks for primary writing. These are easy to remember and very kid friendly. It also has a few friendly reminders below to help students shine. Students will be able to edit their own work and maybe help a classmate out and edit theirs as well. These are perfect for writing folders. P.S. 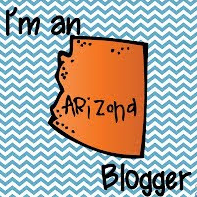 I also made the clip art! Freebie! 4 Kinds of Sentences Posters. One poster shows the sentences of Statement, Command, Question, and Exclamation. The other poster shows the sentences of Declarative, Imperative, Interrogative, and Exclamatory. 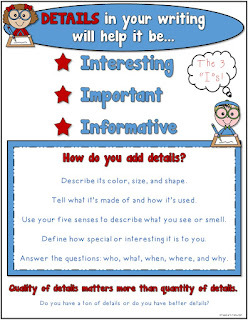 Hang the posters on your Language Arts Wall or use when teaching a mini lesson on the 4 Kinds of Sentences. 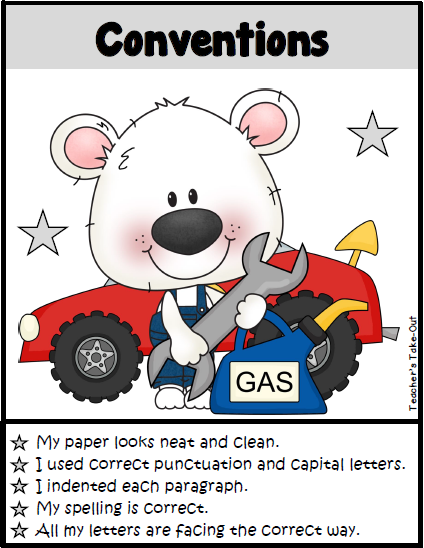 I have also created 2 activity packs to go along with each of the 4 Kinds of Sentences. 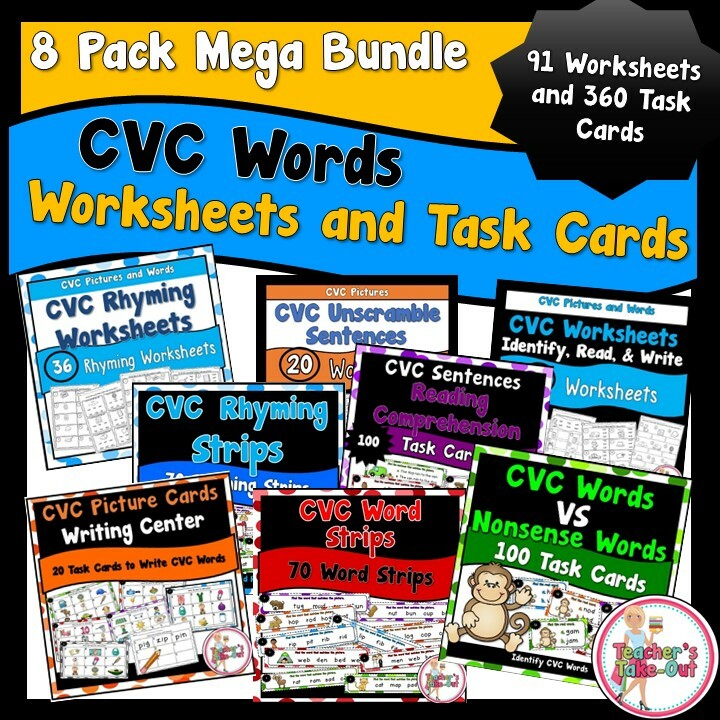 Each pack includes an engaging lesson, centers, worksheets, and activities. Statement-Question-Command-Exclamation Packet It includes a cooperative learning lesson to review or introduce the 4 Kinds of Sentences. There are 2 file folder centers or 2-player game. 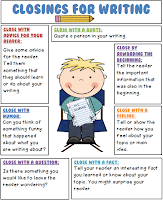 A writing activity to create a class book. It also includes a 2-4 player game to review those sentences. 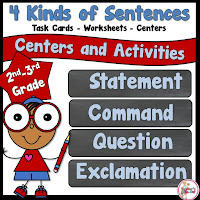 Purchase 4 Kinds of Sentence Pack (statement, questions, command, exclamation) right here at a discounted price! Declarative-Interrogative-Imperative-Exclamatory Pack. 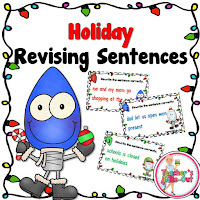 It includes a cooperative learning lesson to review or introduce the 4 Kinds of Sentences. 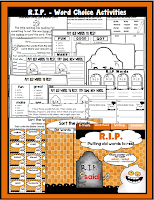 It includes a file folder center or 2-player game, a writing activity to create a class book, 5 worksheets to use as classwork or assessments. It also includes a 2-4 player game to review those sentences. Click on the picture to read more about it. Purchase 4 Kinds of Sentence Pack (declarative, imperative, interrogative, exclamatory) right here at a discounted price! Students read the sentence on the task card and decide which kind of sentence it is. Complete or Fragment? 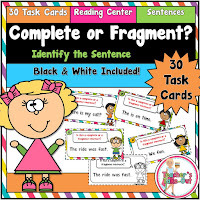 Students practice picking out complete or fragment sentences in this cute little pack. Students identify the complete sentences and rewrite the incomplete sentences. These are great for reading or writing centers. This pack also includes a black and white copy of the task cards. Need some help with spelling words? 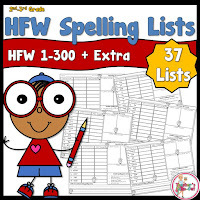 These two spelling packs listed will help students study their spelling words. The task cards are easy to set up at a center. Students can practice their spelling words in a fun way. 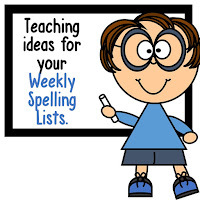 There are over 40 ideas to have some fun with their list of spelling words. 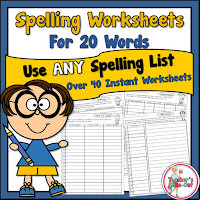 The worksheets below are for 20 words. These are perfect to send home in an instant or even for your early finishers. Need some spelling lists? Here are the first 300 HFW (High Frequency Words) separated by groups of 10 words. Students may be able to read the first 300 words, but can they spell them too? 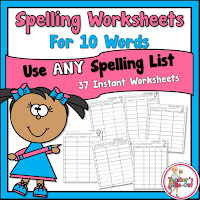 Each spelling lists has students writing the words, putting them in ABC order, putting them in categories, and writing two sentences. Click the picture to learn more about it. You can also find these items above at a discounted price. Just click the picture on the left to be taken to my store.